A holiday gift to my followers! 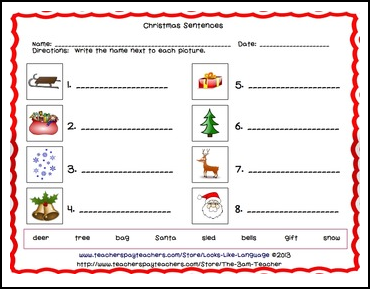 Here are the homework worksheets that accompany my Christmas Sentences Compare/Contrast Game. Check out the full product! 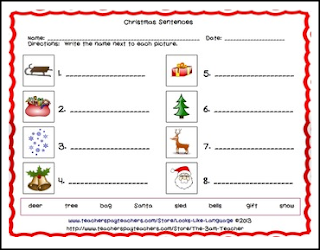 It has 2 games, 36 picture cards, a word wall and more! Happy Holidays from Looks-Like-Language! Don't forget to spread the holiday cheer by rating this kindly!